MICA was slowly happening to us. Life was beautiful and great fun with friends like Ambuj and Poonam around. 3 of us used to spend a lot of time together. Ambuj was in my section too. We used to go to class together, sit together, do our assignments together and then Poonam used to join us during breaks and other free times. We used to roam around the campus endlessly, and aimlessly, just talking, singing aloud, random eating at Chhota, making fun of lots of things, pulling each other’s legs, trying to make sense of our new life here, playing Antakshri, and so many times just simply doing nothing at all. Sweet nothings of everyday life. What more I could have asked for? I had my first MICAn night-out with Poonam towards the end of the first week, I guess. My dad had left for home, we were done with our first week’s assignments, and classes had not started yet. 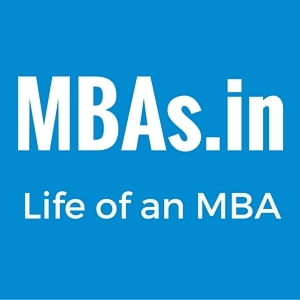 We had all the time in the world before embarking on the long and gruelling journey of an MBA routine. Seniors were not back from their internship’s yet; hence we had entire campus to ourselves only. I still feel that the first few days on campus were probably one of the best there. It almost felt like I had come to a music festival on a long weekend to some place far away from the civilization. There were no wardens for our hostels. There was a Director’s Bunglow at one end of the campus, on the right of Chota, but nobody lived there. Some hostels were also co-ed. We had no set timings as such for anything except the mess food and for staying out of campus. There were guards taking care of our safety from outside world. And then there was this beautiful, small, green campus in middle of nowhere – free of pollution and markets. You could just simply approach and talk to anyone. Most activities on campus were taken care of by student committees. I felt that it was one of the most student-centric, or rather student-controlled administrations. MICA Council for Student Affairs (MCSA) takes care of everything related to students and represents student community to college admin. So we had absolutely nothing to worry about, or so we thought. “Ritzzzzzzz, wassup? Did I wake you up? Mmmmm, what the hell! Punnu, I’m gonna kill you, you know. You’re such a bugger. I would get up cursing her under my breath. I felt like kicking her in those moments. I hated being interrupted from my deep slumber (try waking me up and you’ll know), but she would make that puppy face like she didn’t do anything and then I couldn’t scold her. I would just give in and become her partner in crime. P.S. I must mention here that in 1st year, we need to share our room with a partner, who is pre-assigned by college admin. We couldn’t choose a partner, but could swap on mutual agreement. Lot of people were doing that but I and Poonam didn’t feel the need to do so (Thank god!). So coming back to the night out, we pretty soon got bored with the movie and decided to check if Ambuj was still awake and wanted to join us. But he had already slept. Poonam’s famous hunger-pangs had started setting in and she insisted that we go to Chhota. We loved the tyre-swings at Chhota (who doesn’t) and that night, we found our favorite swings waiting for us. We placed our orders and waited on our swings. It was almost 2 AM by then. Our induction week had just ended. Next day was a holiday. We spoke about our love life, past relationships, our passions, future plans, friends and all such things without even the slightest hint of any inhibition between us. It was great to share so much with someone, you knew only for a week. This induced great level of trust and comfort between us. We felt connected. By then, it was almost 5 AM. Suddenly, Poonam shouted on hearing a strange sound. She looked puzzled and asked me what was that sound. I didn’t notice anything strange. But then she made me notice it the second time. Upon realizing what she was referring to, at first I felt amused and laughed at her. And then I felt a little sad about it. MICA being such a green campus, a lot of birds would roam around. The sound Poonam heard was of a peacock. It was monsoon and hearing or spotting a peacock was quite normal, I thought, but not for her. She had never heard a peacock before, in her life. She told me that, she had spent most of her life in Mumbai only. Most birds and animals were just part of zoo visits in childhood. Having grown up in Rajasthan, I had witnessed a lot of these experiences. I had seen peacocks and other birds playing in our courtyard, all the time. I had lived and observed both the village and city life very closely and was now becoming thankful for that. But the realization of such stark contrast between the city and rural India, had not hit me like this before. And that made me a little sad. I guess, my MICAn learning and keen observation somewhat started that moment as we studied and discussed a lot about these factors during our entire course. Only, I didn’t know this at that moment. So she expressed her desire to see a peacock, first time not in a zoo or cage. She was excited and surprised like a child. Kishore Bhai at Chhota told us that many birds including peacock can be spotted at the day-break. So we decided to wait. I was happy that she didn’t shrug her ignorance off, with the big-city attitude. She wasn’t behaving like she didn’t need to experience all such things. Rather she was quite curious to live a lot of new experiences away from her Mumbai life. There were 2 peacocks and a couple of other beautiful birds at the daybreak. She was brimming with childlike joy at seeing those birds play. It occurred to me that how long I also had been away from these simple joys of my childhood, living in Bangalore, far from my home. It was a beautiful morning. We saw the sun rise; the whole campus looked absolutely stunning and so peaceful. We soaked in the morning light and energy. It was so calm. And then we headed for delicious breakfast waiting in the mess. After the breakfast, we went to crash in our beds for the day, for an amazingly deep and peaceful sleep. It was such bliss. We had just had our first night out at campus and the morning experience was absolutely worth it. There was something special about this morning. Next story It’s when you don’t have it that you value it..